See website for information on walking and bus tours. 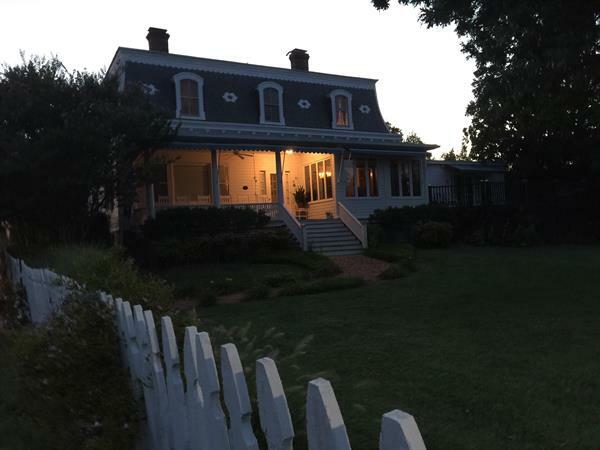 Chesapeake Ghost Walks on Maryland's Eastern Shore is the largest cluster of regional ghost tours in America. 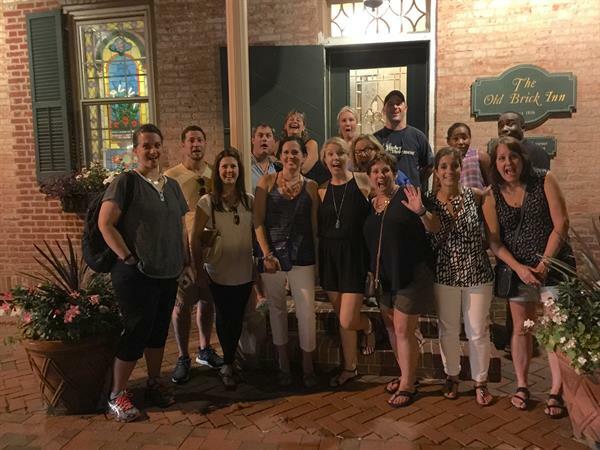 Ten separate night-time walks and bus tours run year round in St. Michaels, Easton, Cambridge, Denton, Berlin, Pocomoke, Snow Hill, Princess Anne and Crisfield - all towns between the Chesapeake Bay to the Atlantic Ocean. 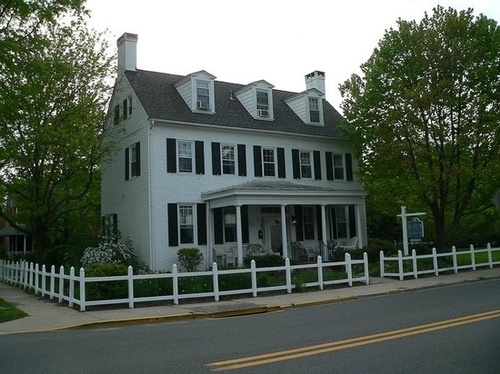 The St. Michaels walk in Talbot County is one of the most popular of our walks. 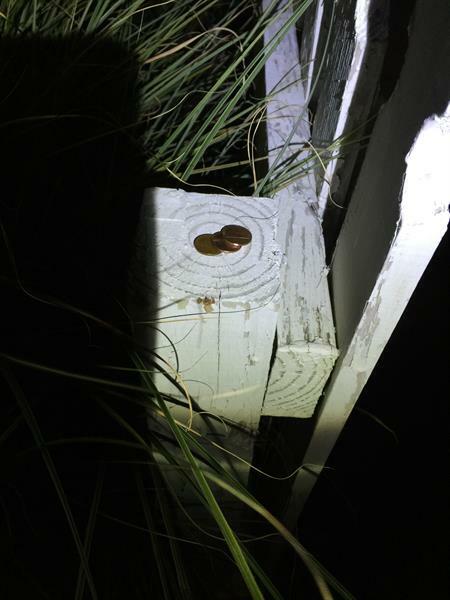 It's the ''Walk of Rowdy Women'', considering the stories are so focused on women spirits that haunt the town - Ladies of the evening, a fussy landlady, a vanishing hippie girl in the park, and a woman who throws wine glasses at the Town Dock bar..and Virginia, who haunts the Old Brick Inn. 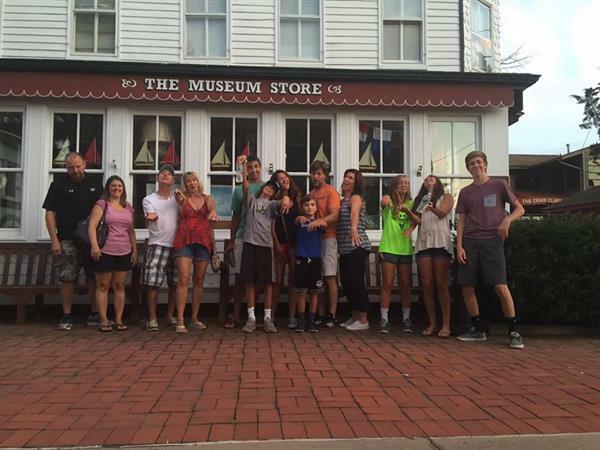 A St. Michaels ghost walk is a jolting experience, because these ghosts are very present to visitors. (Don't worry, they're friendly). 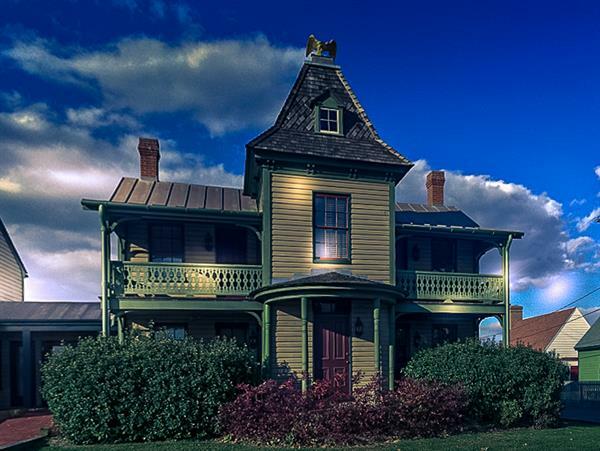 Walk in the framework of collection of Colonial and Victorian architecture. If you look closely, you can see and experience the presence of some of the old residents, visitors, slaves, prostitutes, sailors and soldiers. 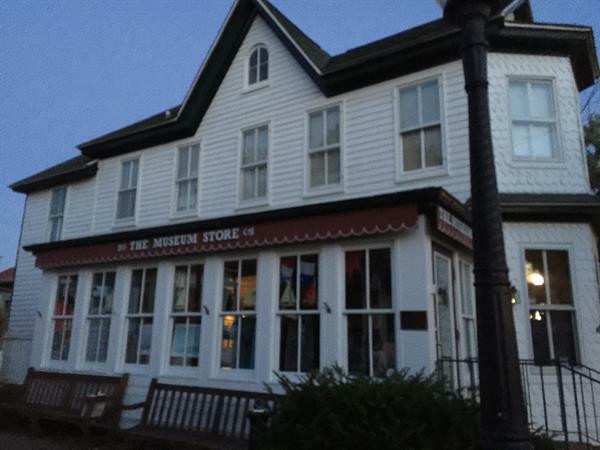 St. Michaels is thick with history and spirits. 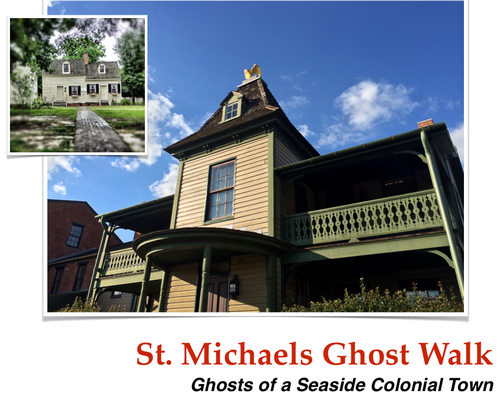 If the St. Michaels ghost walk isn't running the when you're in St. Michaels, check out the other Mid-Shore walks in Easton, Cambridge or Denton. 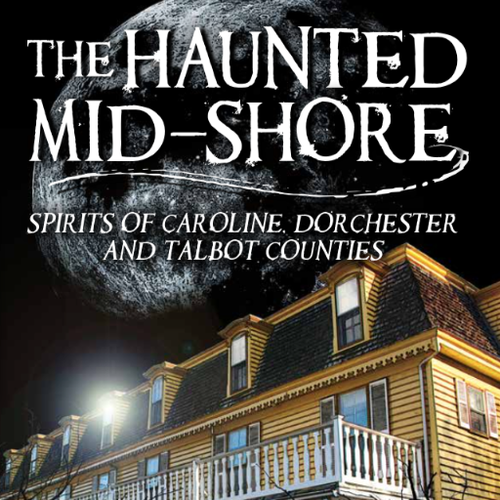 Every weekend there's a Mid-Shore ghost walk close by. 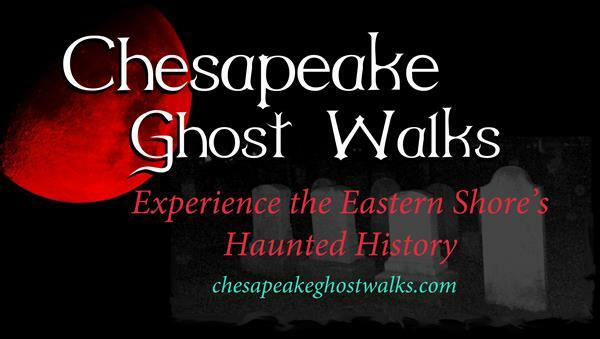 Visit Chesapeake Ghost Walk website for more information and to reserve your walk.